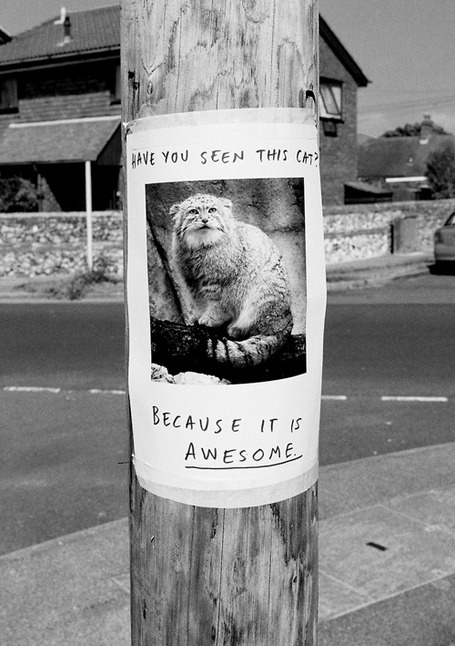 Navigation: Home » follow me » Awesome Cat? Mine would be one scary scrapbook page. One of the best things about twitter (imo) is when you see an @reply with no context whatsoever– those can be hysterical. And you’re just left wondering what kind of alternate universe that came from. That “fresh pet select” just cracks me up. I have to be sure my two “boys” do not see that, McDuff especially (he has a thing for chicken, we’ve discovered). Is it just me that’s noticed a lack of @redclaydiaries? I did see quite the @karenzach lovefest going on though. Poor @redclaydiaries. @redclaydiaries has been scarce on the twitter. Something about being busy trying to meet a deadline for her boss or some such nonsense. These tweet posts do nothing to boost my sanity level. By the way, whatever happened to the good ole days of listening to truck drivers talk nonsense on the CB radio?